The refurbishment of both pitches is progressing but slower than originally planned by the contractor. Warwick School have, with regret, had to decide that their revised date for the pitches will be 1st October to allow for full completion. Don't worry, Steve Lycett along with Claudio and Steve Chidlow are making arrangements to use Aylesford in the short term. Meanwhile, here are some latest photos from the site, taken on 02/09/16. Underlay and top surfaces on about 1/3rd of the Warwick pitch. Feels nice and forgiving for those of us with slightly dodgy knees! New spectator pathway with fencing to keep separate from the playing surface mostly laid out on Warwick pitch. Looks like new controls for the floodlights too. 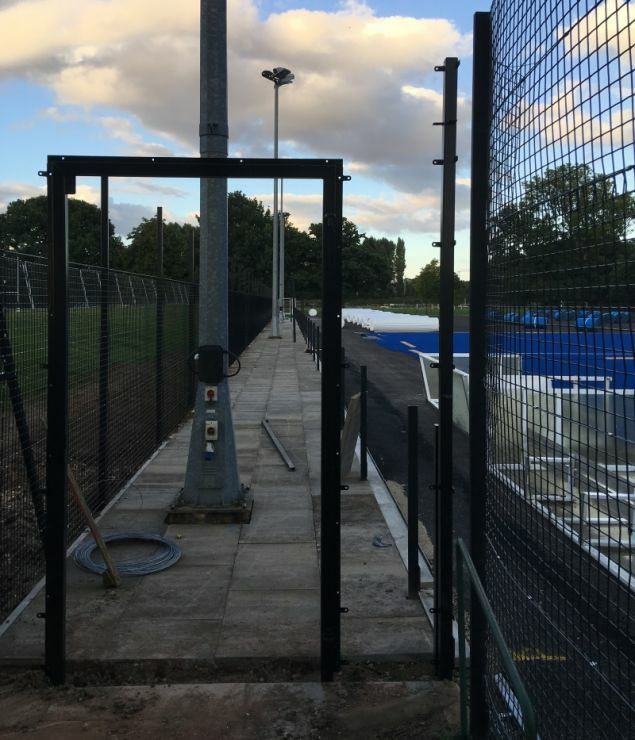 Spectator fence is up on the Kings pitch but the pathway cannot be laid until most of the heavy work is complete on the Warwick pitch due to access.